Prem Chand Brothers are a reputed Exporter, Supplier, Wholesaler, Trader and Manufacturer of superior quality of Ladies Scarf. We are leading Manufacturer, Supplier, Trader and Exporter of wide range of Various colorful Printed Viscose Cotton Scarves. 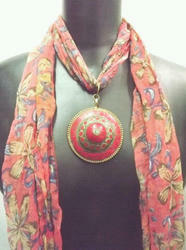 Scarves with inserted jewelry is the new trend in the market . With many designs and different colors in vibrant prints makes them a great collection in every store. 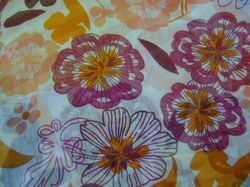 We are a well known manufacturer and supplier of an excellent quality of Ladies Tie And Die Scarf. These are fabricated as per innovative styles and design. We offer in varied shades, shapes, colors and texture. These scarves are widely demanded for their softness, attractive look and user-friendly features. The particular range comes in hand and printed silk scarf. Moreover, this is handmade silk and cotton scarf that are beautiful in appearance, in a striking combination and long fringes. This is designed based on present artistic appeal. We are a well known manufacturer and supplier of an excellent quality of Ladies Silk Scarves. These are fabricated as per innovative styles and design. We offer in varied shades, shapes, colors and texture. These Ladies Silk Scarfs are widely demanded for their softness, attractive look and user-friendly features. 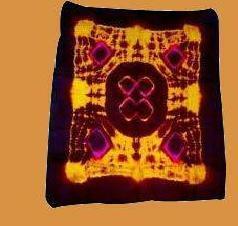 The particular range comes in hand and printed Ladies Silk Scarfs. Moreover, this is handmade silk scarves that are beautiful in appearance, in a striking combination and long fringes. This is designed based on present artistic appeal.